ADA Compliance is the biggie and we’re not just talking about wheelchair access here. In recent years, hundreds of school districts and educational institutions across the nation are finding themselves at the brunt end of disability lawsuit claiming ADA Title II violations. The subject of these legal complaints and lawsuits, ADA Title II violations, are all related to Web Accessibility. Moving forward, schools are now being required to provide equal access to web environments for people with disabilities. If not coded properly, a website may not work for all users, in particular for users of Assistive Technology (AT), such as a screen reader. School districts now must look at ADA Compliance from both the physical and virtual perspectives. Seattle Public Schools is on the forefront of this movement, “With approximately 98 school locations, 8,000 staff, and 54,000 students within the city of Seattle,” stated Sean Bradley. 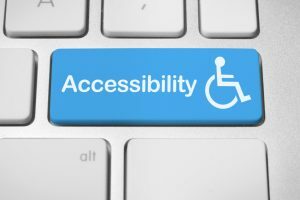 SPS prioritizes digital inclusion, seeking to ensure an accessible user experience for all their constituents, regardless of the individuals’ ability. According to President & CTO of AudioEye, “Seattle Public Schools required an effective, expedient, and economical approach to solving [this] complex problem, after an extensive and disciplined vendor evaluation process, they found their solution in the AudioEye Digital Accessibility Platform.” The SPS ADA compliance mandate extends to all curriculum software providers. Typing Agent, one of SPS vendors, plans to not only meet the ADA Compliance requirements set by SPS, but intends on exceeding them. Kris Peterson, Typing Agent CEO takes these compliance issues very seriously. With such advancements in web technology, many districts have already begun to look for new web-based program solutions to help their students with special needs. Typing Agent is dedicated to transforming how schools experience keyboarding in a more inclusive way. Typing Agent 5.0, which is set to be released in the summer of 2018, has redesigned the student interface experience. Making it easier to use and more accessible for all students with our new WCAG 2.0 Level AA compliance. According to the NY Times, the spread of coding instruction across educational institutions is unprecedented. Herein lies our second movement in school districts – coding. 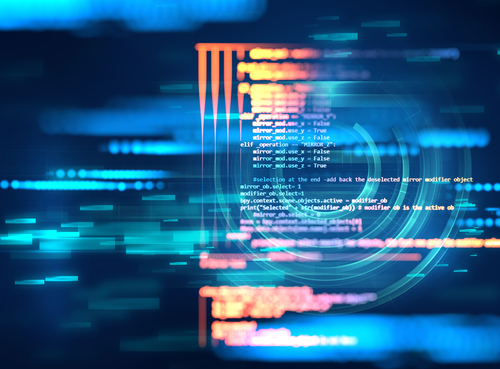 “There’s never been a move this fast in education,” said Elliot Soloway, a professor of education and computer science at the University of Michigan. Soloway believes in the coding movement, noting that it is a positive development inspiring students to cultivate this emerging skill. According to Code.org, thousands of teachers across the country from kindergarten through 12th grade have introduced coding lessons. In addition, some 30 school districts including New York City and Chicago, have integrated coding into their classes. Though this is mainly seen in high school, lower grade levels have begun implemented it as well. 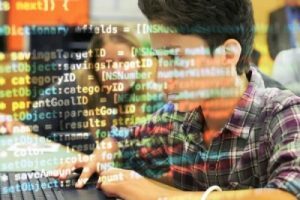 Policy makers in nine states have begun awarding the same credits for computer science classes that they do for basic math and science courses, rather than treating them as electives. Kris Peterson, Typing Agent CEO, saw this movement coming and built a “Learn to Type Code” app into Typing Agent’s keyboarding curriculum back in 2015. Learning to code is the new literacy for students. Typing Agent has seen the need to include important skills like this along with our keyboarding curriculum, introducing transitional coding exercises to teach students accuracy and fluidity in programming. Furthermore, we will be launching an Advanced Type Code curriculum in our TA 5.0 release. Digital Citizenship has taken the K12 education sector by storm. With children accessing technology while still in the stroller, there is no doubt that access starts early. Thus prompting parents and educational institutions to work together to raise digitally responsible students. Reckless use of digital communication is rampant among kids and teens. Recent studies suggest that kids today are spending an average of 8-9 hours a day on their devices. Posing an even greater challenge of not only teaching digital responsibility to students, but also teaching them to be socially competent while interacting with one another offline. It is no doubt a tricky balance, but fear not, it can be done. Thankfully companies like Typing Agent are stepping up to the plate in this area as well, by adding an entire digital citizenship curriculum this summer to their 5.0 version to teach these important skills within their keyboarding platform. With many schools now shifting to allow BYOD (bring your own device) at school, combined with the general push for integrating technology into the classroom, it’s obvious that students need to examine the repercussions of their online activity–both good and bad. Tying Agent’s CEO, Kris Peterson, strongly believes that these skills are crucial and must be apart of his keyboarding program. Technology’s importance in our everyday lives is growing exponentially. Typing Agent has taken note of this and included important skills, one being digital citizenship with its keyboarding curriculum. Its compelling digital citizenship series will help students thrive in the new world of social media and technology. Whether you are discussing ADA Compliance, Coding, or Digital Citizenship, technology is an ever changing force to be reckoned with. The way in which these technological developments are integrated into learning environments has vast implications. To safeguard future economic prosperity, schools and districts across the US must ensure that their curriculum helps students develop the skills they need. If they do not, the U.S. may find itself lagging behind other more forward-thinking countries and their digitally-powered economies. Click Here to Sign Up for Typing Agent and be the first to get in on Typing Agent 5.0 when it’s released this summer! My school CWE really love Typing Agent but there is 1 thing we all agree is missing. The lessons need music so that students will stay engaged. Prior to release we made this suggestion but did not hear back on it and of course the new version does not have any music at all which makes for a long 20 minutes of typing time. Not to mention music opens up minds and allows learning to occur more freely. I am glad you are enjoying Typing Agent. You are right music is a great way to open the mind. I have shared your idea with our design team and we are looking into ways that we can implement it, there are some implications that make adding this feature a little tricky but it is still on our radar.